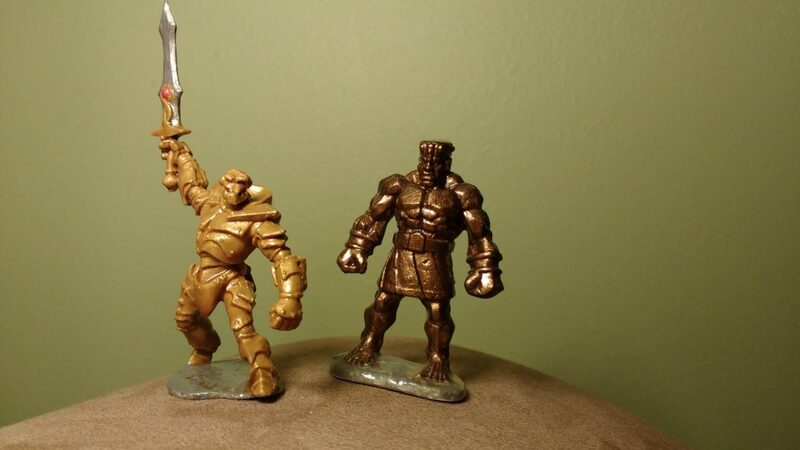 I don’t know that I can really count the Battleguard Golem and Stone Golem from the original Bones Kickstarter as practice. Both Golems were very straightforward to paint with only the Battleguard Golem having any detailing at all. It’s a testament to the Stone Golem sculpt that I could just give it a quick couple of coats and still be so pleased with the result. It’s a great model. The Battleguard Golem needed more skill to really shine and while it’s not horrific it definitely would have benefited from more detailing. I was happy that I managed to get the gem on the sword and the eyes.